Flight time 24hrs 55 mins from London. 13hrs from L.A. If films like Point Break and Blue Crush still set your heart racing with anticipation then we’ve got the experience to make your epic surf dreams a reality. This is the ultimate ‘heli-surfing’ adventure where you’ll take to the skies all in pursuit of the perfect wave. Wondering how (and where) we could possibly pull off something so extreme? Where else but the true land of adventure? New Zealand and the adventure capital of the world, Queenstown, where extreme sports like bungee jumping and black water rafting are the norm. Long gone are the days of driving from coast to coast and waiting for the perfect wave break. Now it’s all about jetting from swell to swell chasing velvet-smooth tunnels, supertubes, perfect peelers or gnarly freight trains (as the locals would say) as quickly as possible. The solution? Heli-surfing. All you need is local knowledge, private land access and one other thing… a helicopter. Luckily, we have it all. Take this trip at any time of year; with kilometres of coastline, there’s always somewhere to surf. 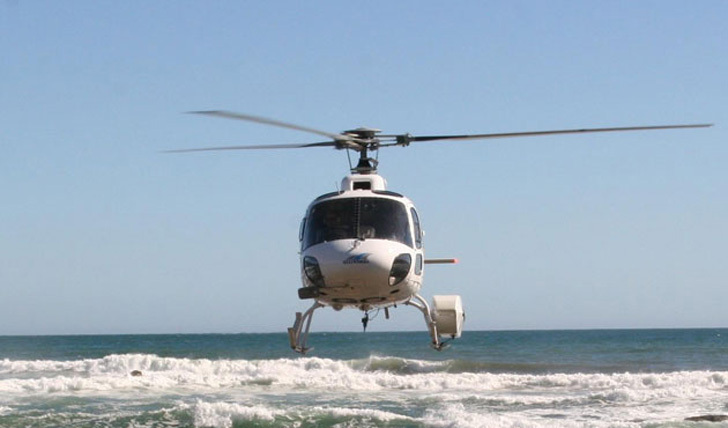 Travelling by chopper means we’ll find you the best possible surf on the day. Your final itinerary won’t be set in stone until a week before you travel, and it can change at the last minute depending on which direction the swell is heading. Flexibility and attention to detail are key, ensuring you get the most out of your luxury tailor-made surfing adventure. So how does it work? Well, each day you’ll set off with your pilot, flying over glaciers, waterfalls and rainforest to reach deserted reefs and beaches. You can expect around 3-4 hours flying time a day from your base at Queenstown with stops along the way to test the surf. Travelling by helicopter from beach to beach not only gives you excellent bragging rights, but it also gets you access to isolated wave breaks, escaping the crowds and getting the cleanest barrels all to yourself. 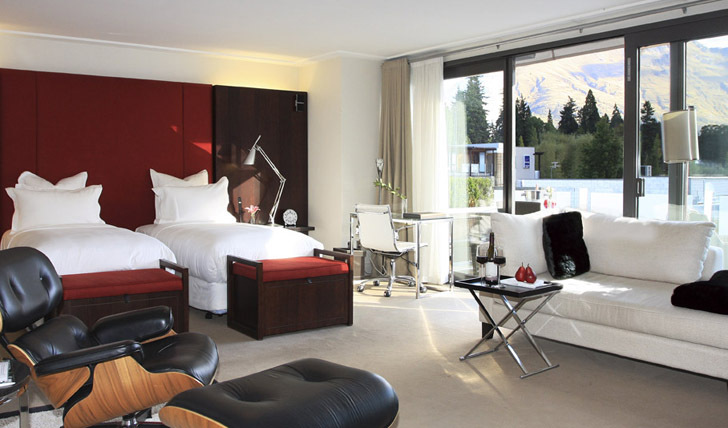 In the evenings kick back and relax at New Zealand’s finest luxury hotel, The Spire. Perched on the banks of Lae Wakatipu, you’ll have all of Queenstown before you. A small and inviting boutique hotel, The Spire is thoroughly modern yet suffused with warmth – a lovely base from which to explore New Zealand’s charming alpine surroundings and yet be just a helicopter ride away from the surf. Contemporary and comfortable, this sleekly designed sanctuary is one of Black Tomato’s favourites in New Zealand.